We are the Vocal Ensemble to sing Early Music. Men's Vocal Ensemble Gregorianum was founded in 2005 by a group of musicians who had been part of a children's choir known under the same name, with education received in music schools and brass orchestras. All of them share their love of early music. Since the beginning the group has been conducted by Berenika Jozajtis, a graduate of choir conducting at the Frederic Chopin Academy of Music in Warsaw, in the class of Professor Henryk Wojnarowski. 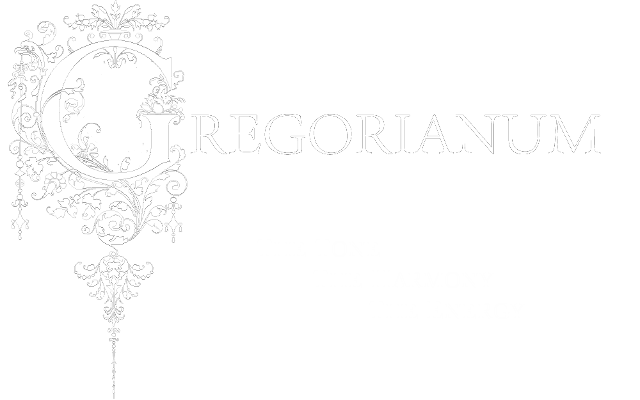 Gregorianum specializes in early music, both religious and secular. The group gained recognition during early-music festivals in Gorzow Wielkopolski or Swieradow Zdroj, in Poland. It has been a laureate of the following competitions: Ars Liturgica in Gniezno - Grand Prix, Competition of Waclaw z Szamotuly - 1st place, 61st International Polyphonic Contest in Arezzo - Audience Award. Gregorianum regularly gives concerts around Poland, very often with the company of recognized early musicians, and participates in masterclasses held by Elzbieta Wtorkowska, Cezary Szyfman, Marcin Bornus-Szczycinski and Paul Esswood. Gregorianum has for the past few years been working on discovering and recovering for contemporary audiences music that hasn't been heard for more than three centuries, in the repertoire of the Krakow-based Rorantists' Kapelle, the royal ensemble in the Wawel court which began in 1543.